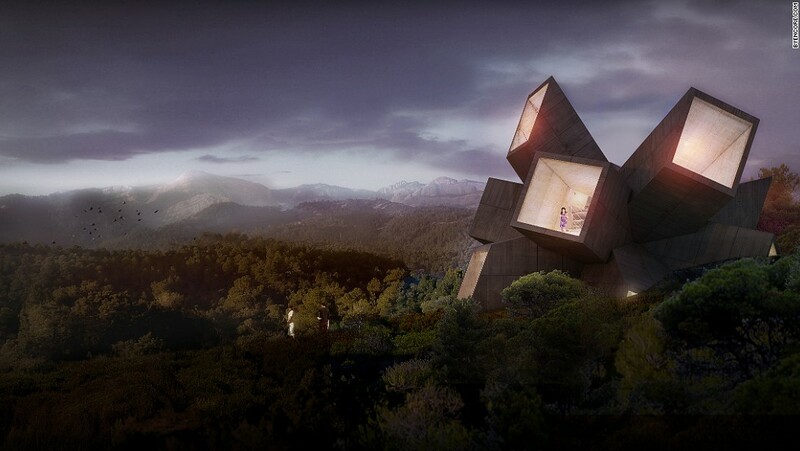 Architects rarely lack creativity, but they frequently lack the freedom to explore it. Clients have preferences and there are often building restrictions in place, which inevitably force architects to compromise on their vision. But what if those limits were removed? 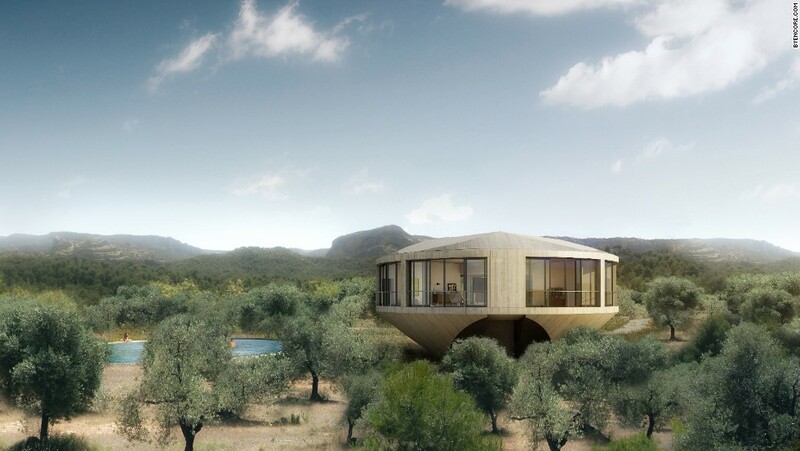 In the daring “Solo Houses” experiment, French developer Christian Bourdais has given ten architects carte blanche to develop vacation homes in southern Catalonia, Spain. 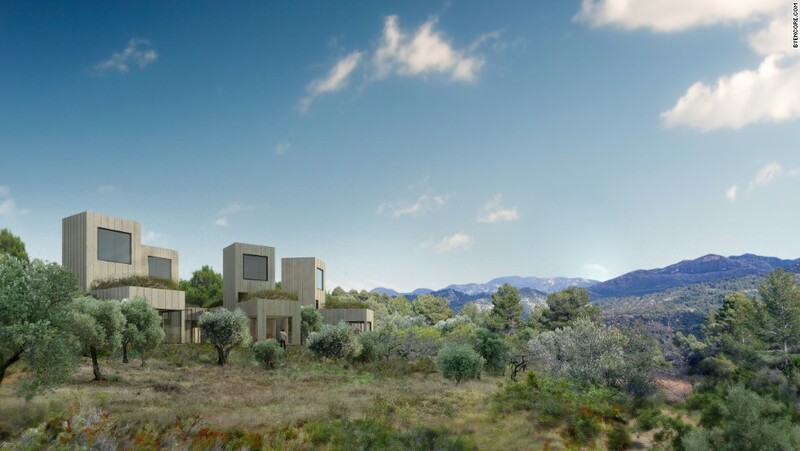 Set on the border of the Los Puertos de Beceite nature reserve, these homes don’t resemble typical real estate projects, but rather works of art. Grab your checkbooks. Each of these stunning properties, including Casa Faustino above, is up for sale. Potential buyers can admire the properties during open days on Dec. 17 and 18. 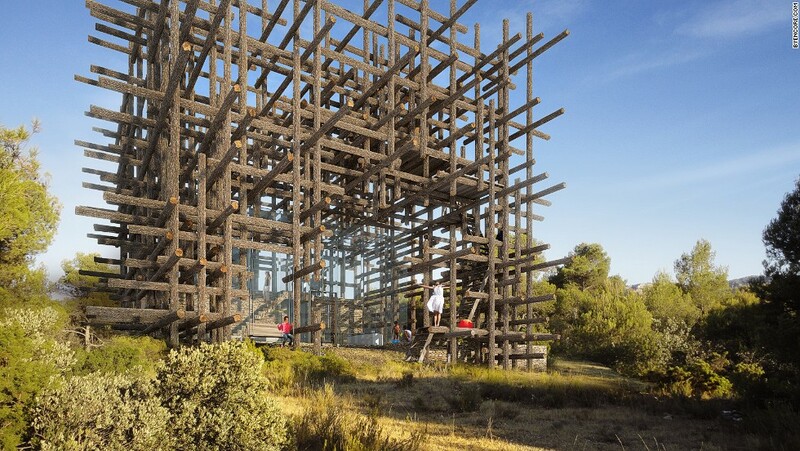 French-Portuguese architect Didier Faustino is known for subversive works and experimental installations. That is evident in Casa Faustino. 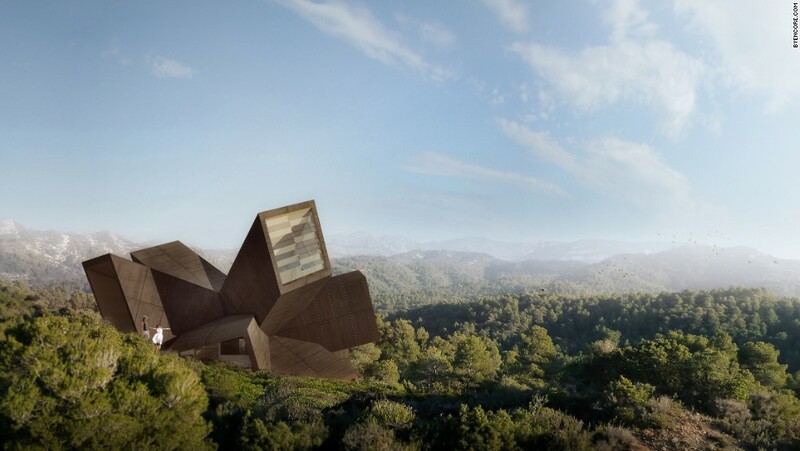 In the CGI rendering it looks like an Art Deco space ship that has crashed in the forest. Large apertures inside the house offer views of the surroundings, and draw light into the center. 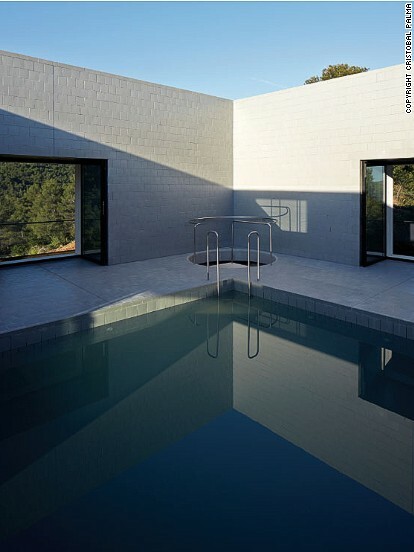 Casa Pezo, the first house to be built, has already been sold. Inside the highly symmetrical structure a series of elevated rooms overlook an open-air courtyard with swimming pool. The wrap-around balcony consists of 16 columns. From a distance Casa Fujimoto looks like it was constructed from match sticks. It’s not far from the truth. 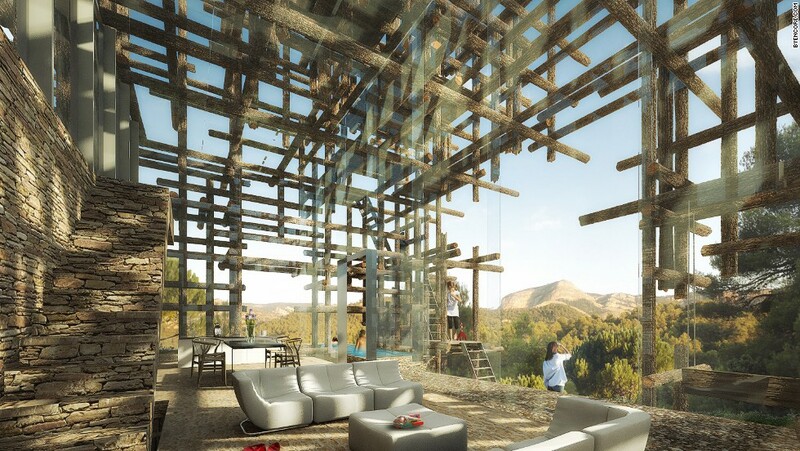 Japanese architect Sou Fujimoto surrounded a glass structure with tree trunks arranged in a latticework. The intention is to let the breeze circulate freely while filtering light. Fujimoto has said the house is meant to provide protection while remaining widely open. It’s an “elemental return to basics,” albeit one with far more style than your typical wilderness lodge. 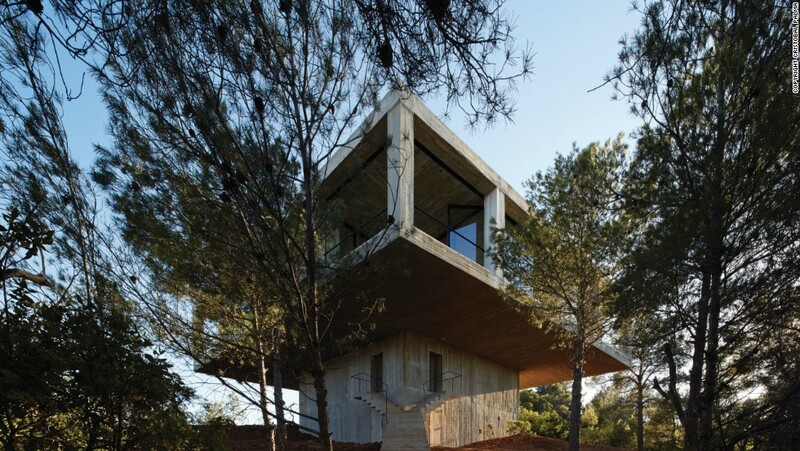 Consider it a haute tree house. Brussels-based architects Kersten Geers and David Van Severen drew on their natural surroundings for Casa Office KGDVS. 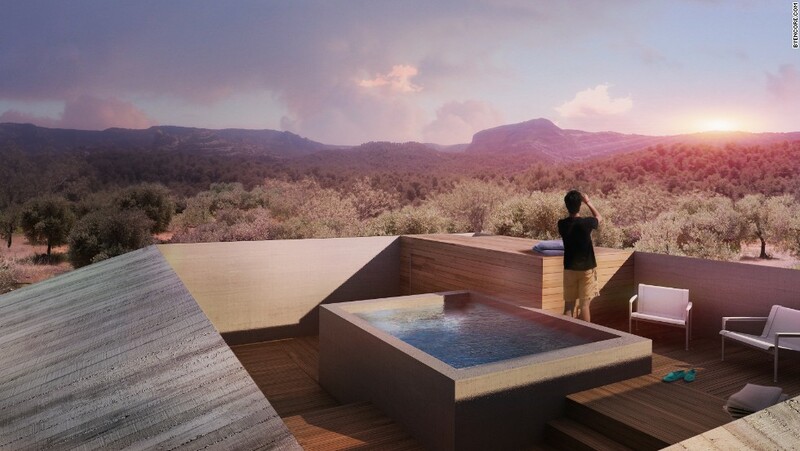 “The site gave us immediately the design: while we walked on the edge of ‘our’ plateau to embrace it and enjoy its spectacular views, the trail we made became the Solo House,” Geers says. Van Severen says the glass walls minimize the barrier between the home’s interior and exterior. 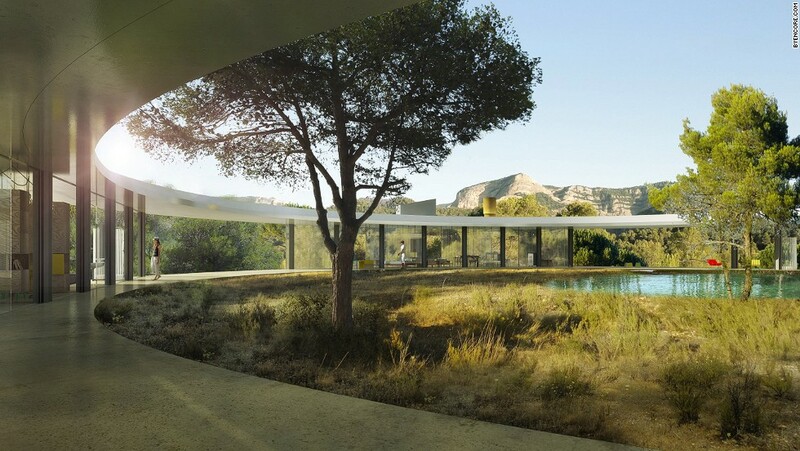 American architects Sharon Johnston and Mark Lee considered a guest’s physical approach as they drove along the edge of the Los Puertos de Beceite nature reserve for their Casa Johnston Marklee. A rooftop terrace has two perks: a swimming pool and a panoramic view. 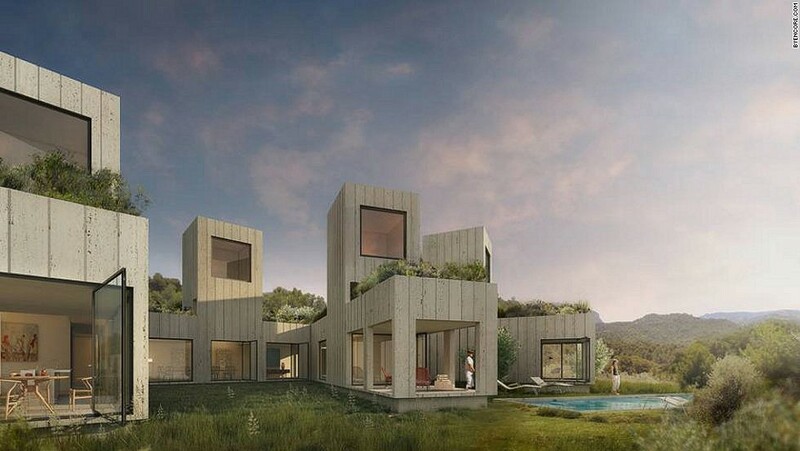 New York-based architects Michael Meredith and Hilary Sample of MOS Architects hoped that their geometric Casa Mos, which is spread among overgrown vegetation, would give the sense of a modern ruin. 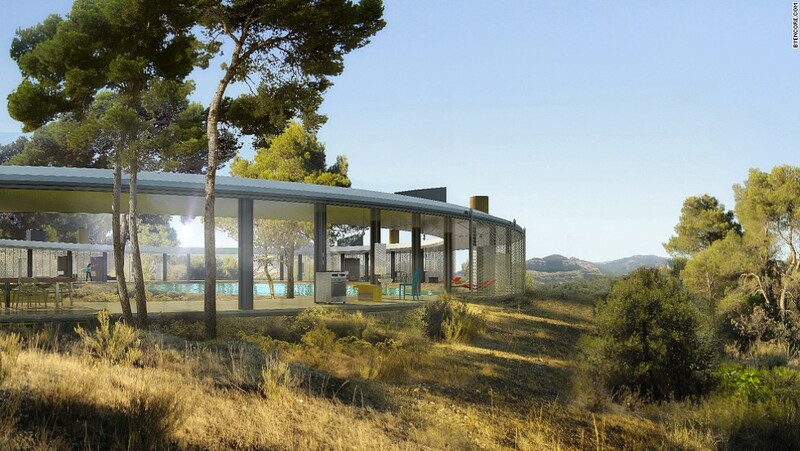 The villa consists of five structures, each shaped like an upside down T.
Inside the dining room and kitchen are both linked with the living room and bedrooms. Sliding doors can be removed to form a completely open space. 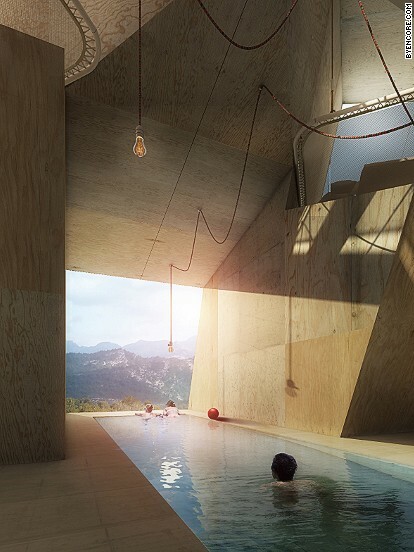 Faustino says the wooden floors bring weightlessness to the structure. 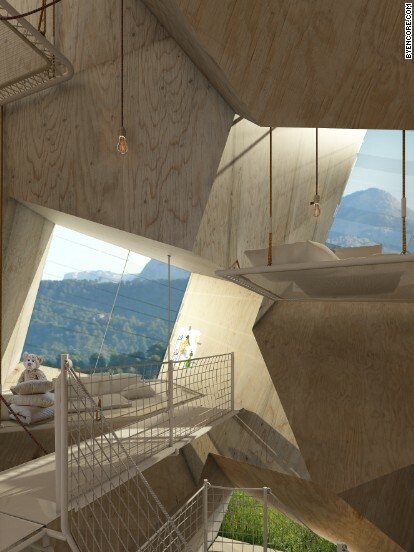 Angular walls and ceilings disturb traditional notions of up, down, left, and right.